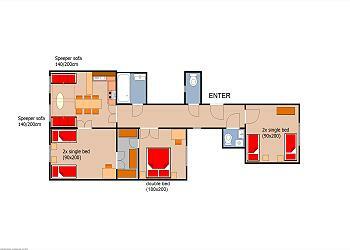 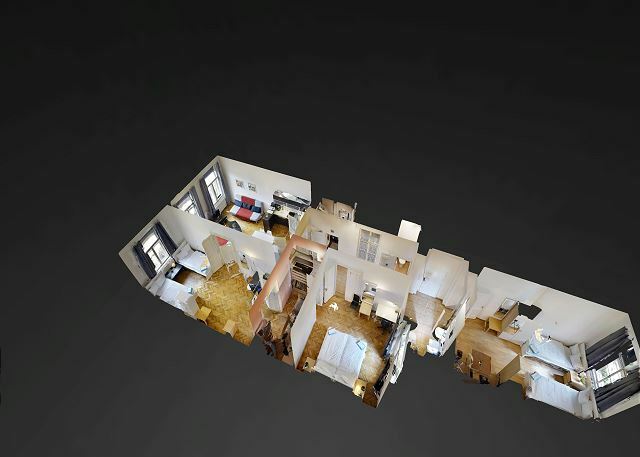 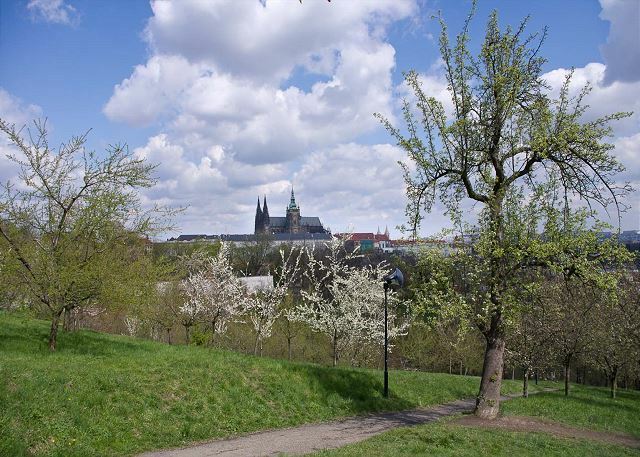 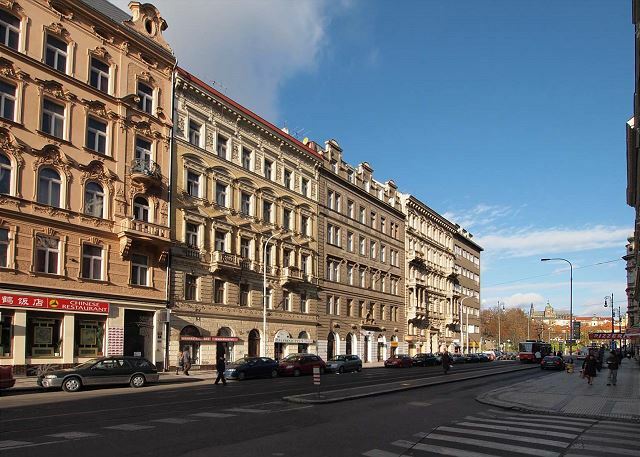 This light and spacious 3 bedroom apartment is situated only 10 minutes away from Charles Bridge. 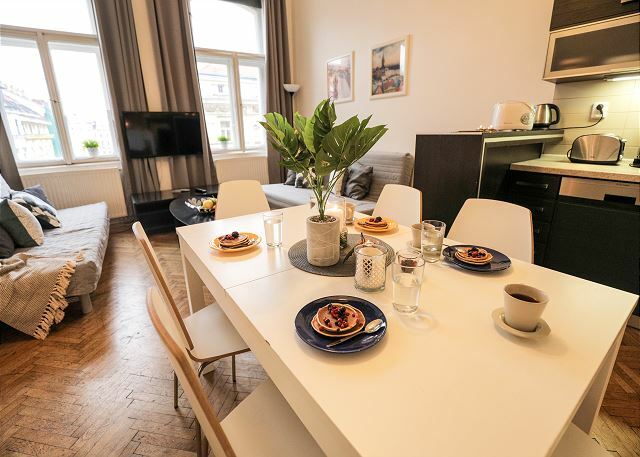 Just imagine you and your close ones enjoying an aperitif after a whole day of sight-seeing or having a siesta in the comfy sofas. 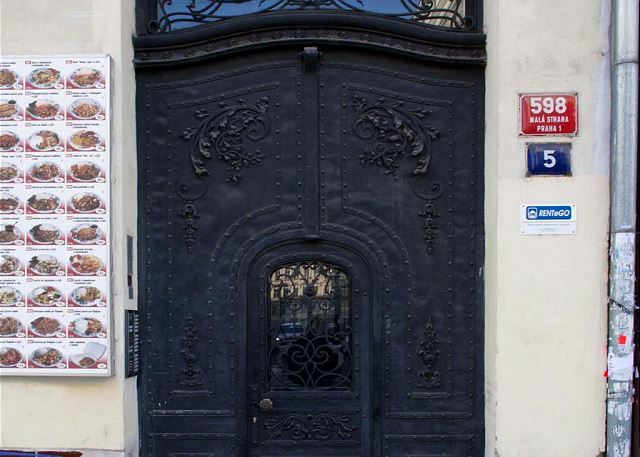 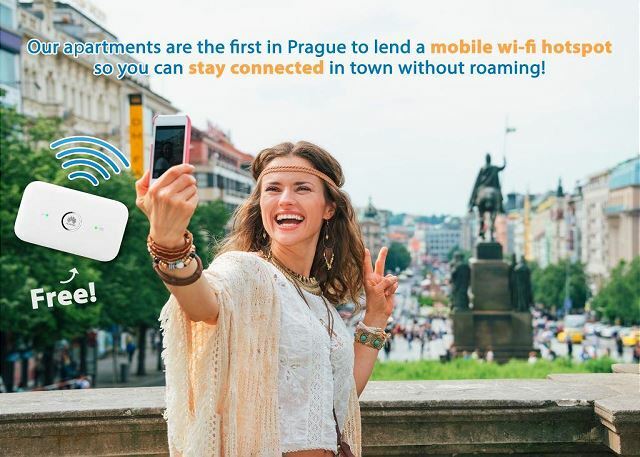 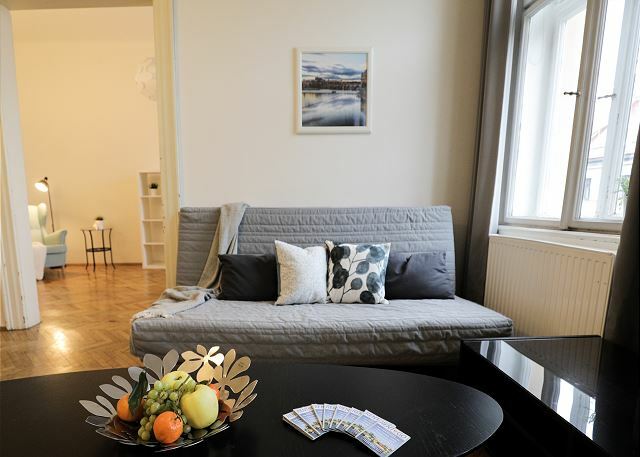 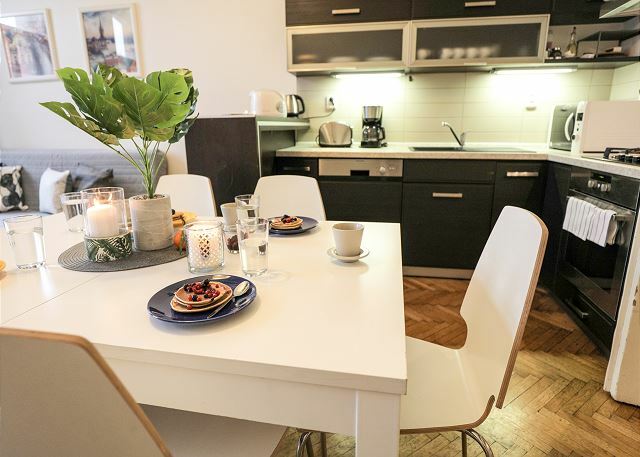 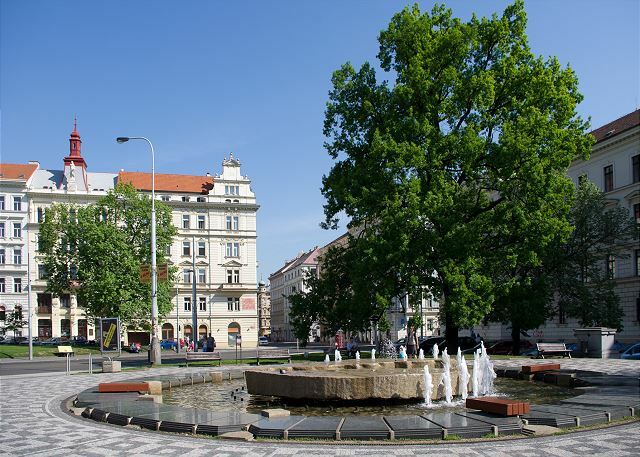 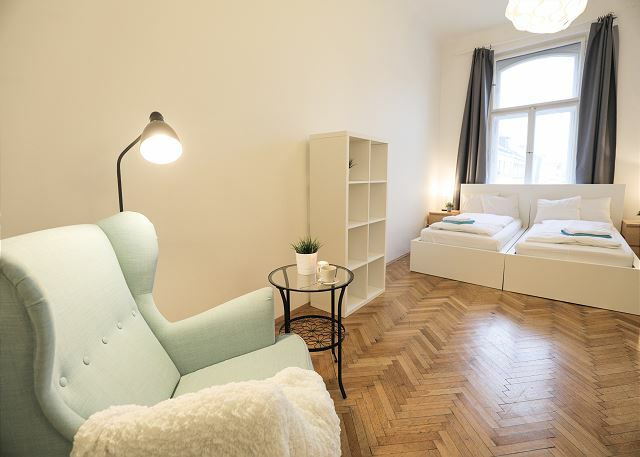 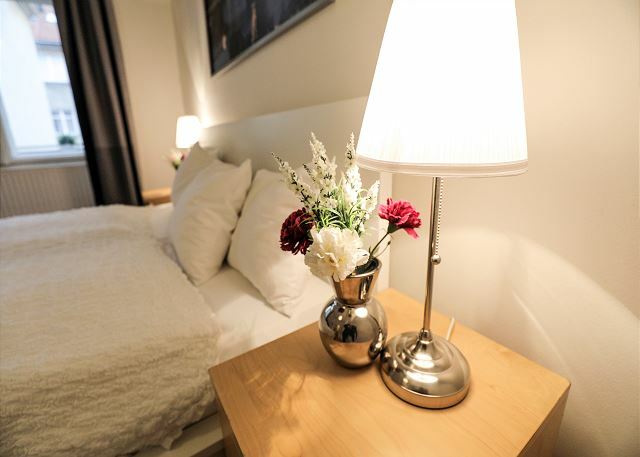 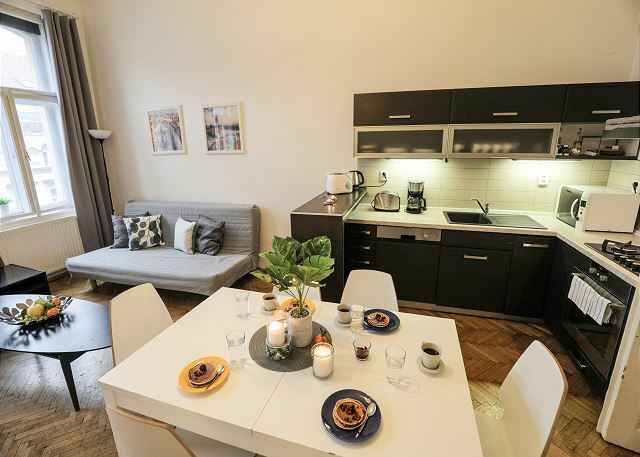 Yes, wandering through Prague can be tiring and that is why it is important to have an apartment close enough so you can pop in anytime you want. 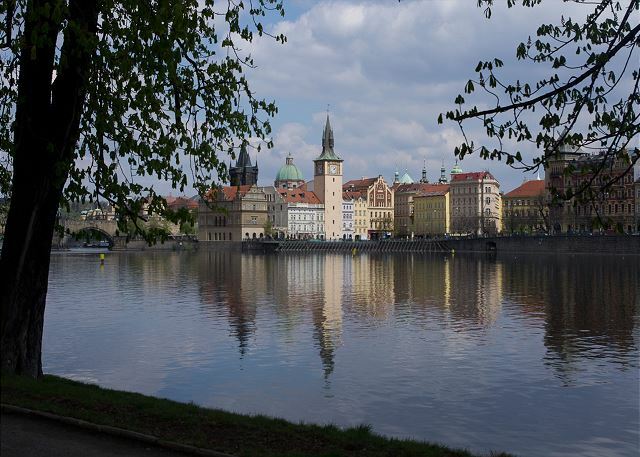 Relaxation is essential to get enough energy for exploring all the beauties of Prague as well as the bars and restaurants that open at night. 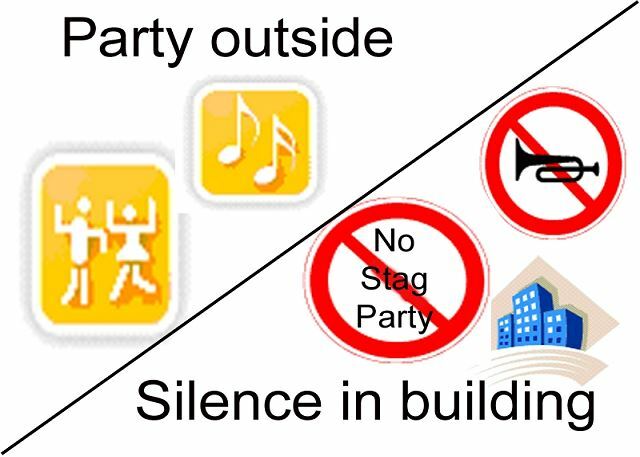 Also thanks to this great location, you will not need a taxi to get home after a late night, since most of the best spots are 20 minutes walking distance away. 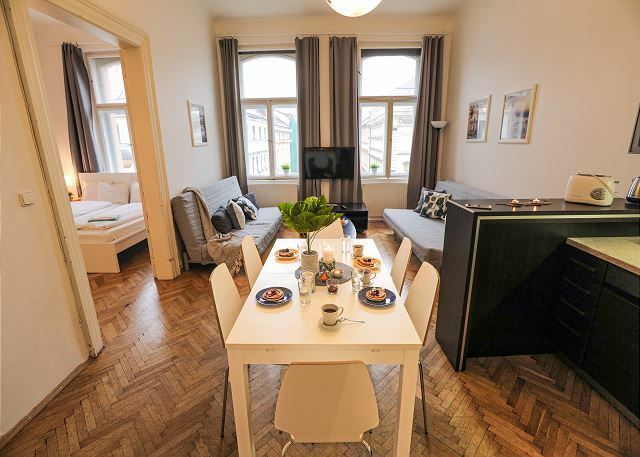 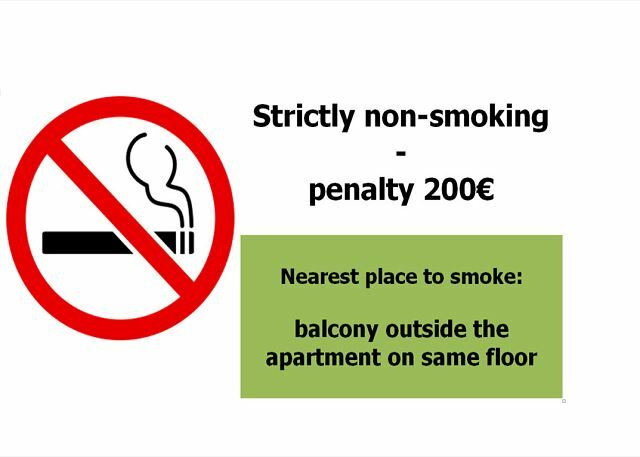 Another advantage of the Kampa2 apartment is its equipment. 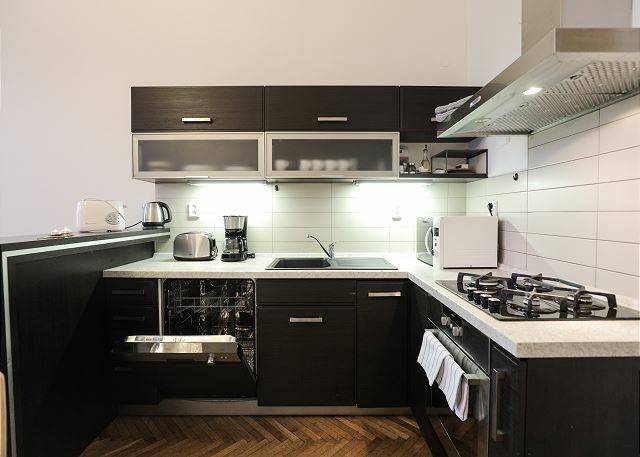 If you are fan of cooking, the Kampa2 kitchen provides everything you need from cocktail shakers to a fondue set, as well as a dishwasher making your stay much easier. 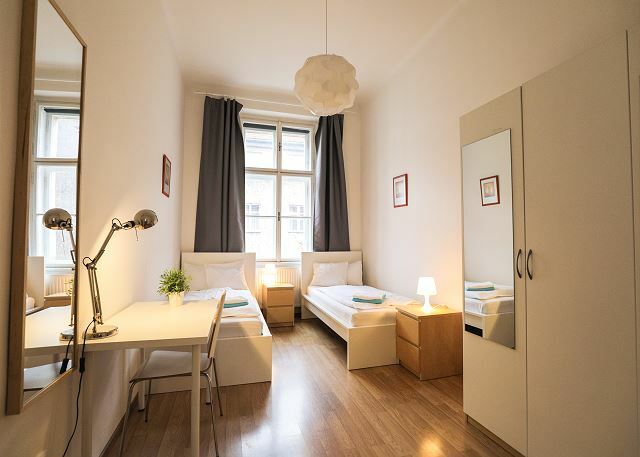 On top of that, there is high-speed internet connection and a plasma TV with not only Czech but also foreign channels. 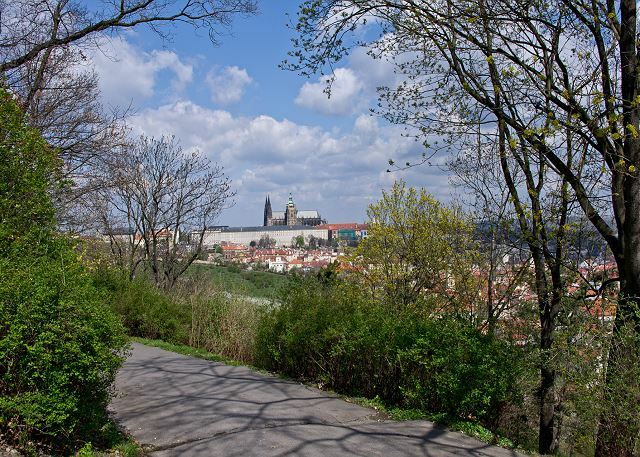 Kampa2 was named after a park nearby, on the way to Charles Bridge.